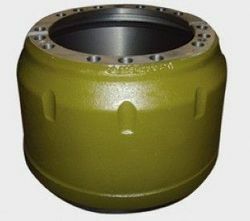 We are a leading Manufacturer of casting heavy vehicle parts from Rajkot, India. With enormous years of industry experience, we have emerged as the leading manufacturer, trader, exporter and supplier of premium quality Casting Heavy Vehicle Parts. The offered spare parts are manufactured with the contemporary technology and finest quality cast iron at our well-maintained production unit. Available in different sizes, dimensions and technical specifications, our provided spare parts are used in automobile industry. Moreover, patrons can avail these parts from us at market leading prices. Looking for Casting Heavy Vehicle Parts ?